Fleetinsight the market-leading vehicle tracking system across Hampshire and Surrey, is designed to provide you with all the fleet management and data analytics tools you’ll ever need. Always know where your vehicles and drivers are. Live tracking offers an easy way to manage mobile assets efficiently with real-time tracking of your vehicles and drivers and monitoring their location and destination throughout the UK and Continental Europe. Creating geographic location areas is an essential tool for your daily operations. 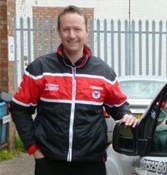 Know when drivers arrive, when they left, time on site, and total driving time. When a driver leaves or enters a geo-fence the fleet manager will instantly get an e-mail/ SMS notification. Geo-Fencing can be used to measure time spent at client sites, depot arrivals or departures and detect out of hours use of a vehicle. View the trip of the vehicle in detailed view on the map, analyse events that occur at each point, identify where performance is lacking or good, measure distance and speed easily. Groups or asset tracking and reporting tools compare and report on the performance of your fleet by individual driver, group, company or depot so you can compare and analyse your business by branch or region. Driver performance can be measured against targets you set. Captured data can be reported on and used for vehicle management by setting mileage based service and administration milestones for comprehensive fleet reporting. You can select from a range of options to display high-level operational information relating to your fleet and driver performance. The Vehicle Tracking Dashboard delivers key, high-level metrics that can make a significant difference to your bottom line. Interactive applications that give you access to all information and data on a mobile device. Available on IOS and Android platforms. Be in control of your fleet wherever you are. For many of our customers, one size does not fit all. Unlike many other providers who only supply off the shelf tracking systems, our team are able to customise software to your individual needs and seamlessly integrate it into back office systems. 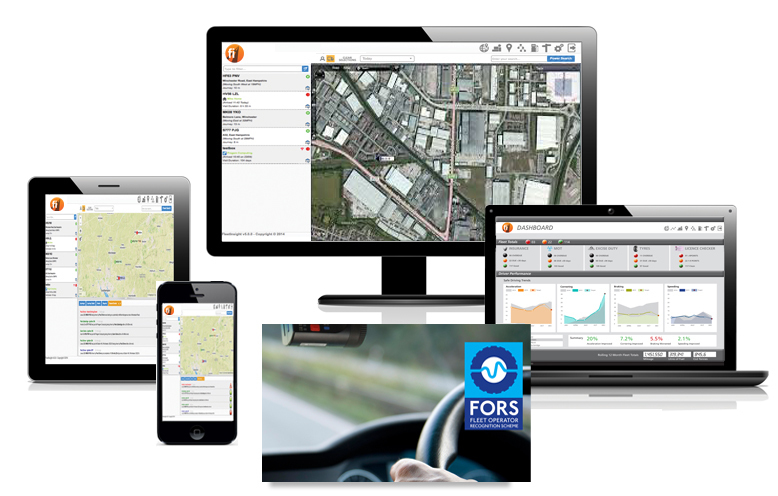 Fleetinsight are a FORS accredited supplier of camera safety and vehicle tracking systems for commercial and construction vehicles. Our CCTV technology provides our customers with the most advanced, innovative and reliable camera safety systems on the market. Discounts are available for FORS Members.